We are with you from the start to the happily-ever-after. Have your guests enter all their contact info straight into your guest list, easy! Guests can only add a +1 when you choose, so you can avoid that awkward conversation. Use your included Say I do address or upgrade for a Custom .com Domain Name. Watch your RSVP attendees counter update in real time. Really easy to set up and use! Pretty designs to choose from too! Ryan has been very responsive to my emails and gone above and beyond to help me out. I have had responses to my questions with an hour to 24 hours. Highly recommend!! Ps. It saves you money as you don't have to pay for RSVP cards. 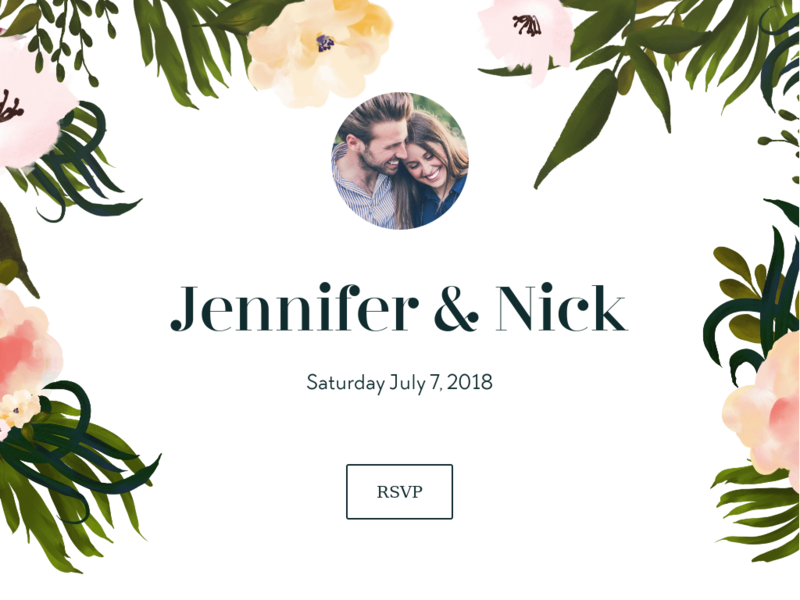 Fantastic website that I highly recommend to anyone looking for an alternative to paper RSVP's and reception/wishing well cards. Thank you! We found Say I Do very easy to use and received multuple comments about how people had wished they had used it for their wedding.